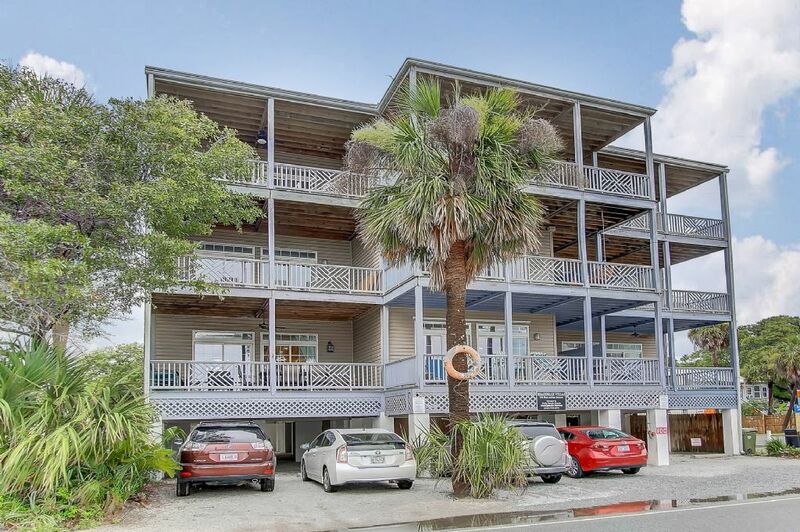 Welcome to Beachwalk Villa 11 on Folly Beach! 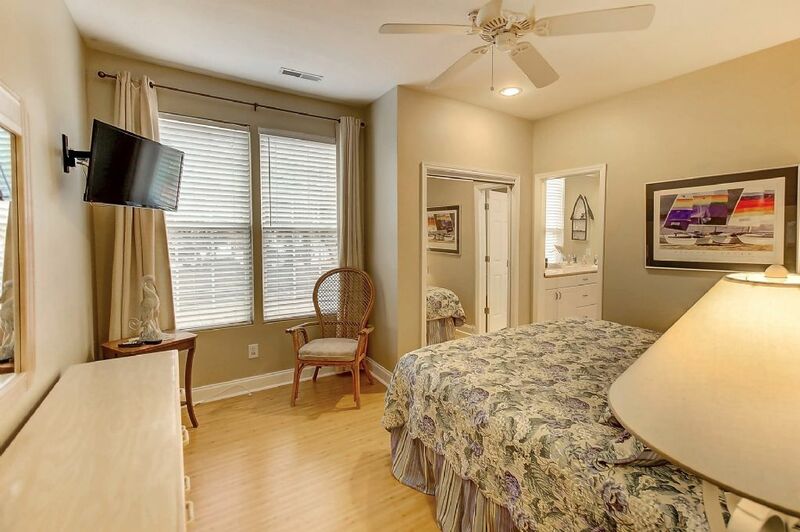 This 3 bedroom, 2 bath, pet friendly condo provides the adults with the privacy they seek while the kids have rooms of their own. 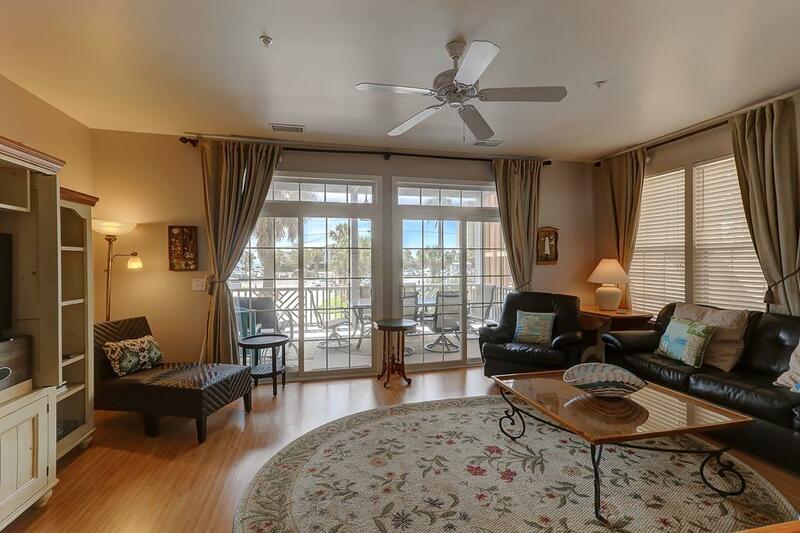 Relax and take in the ocean views and sea breezes from the covered porch. 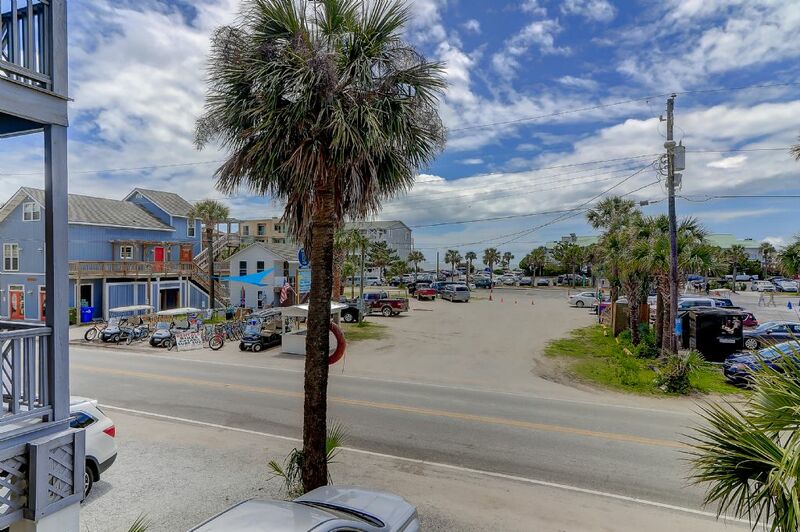 Don't worry about driving once here, because you are walking distance to all shops, restaurants, entertainment, and the beach! 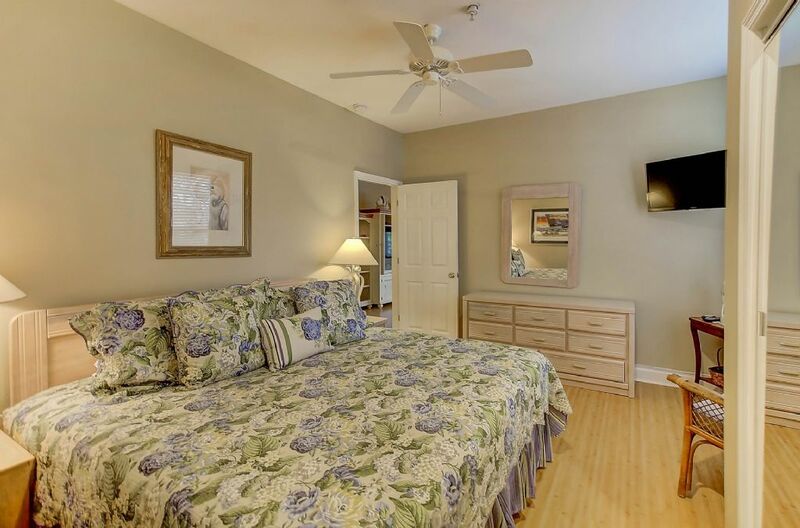 All beds have new queen temperpedic style beds, and high quality bed and bath linens are also included. 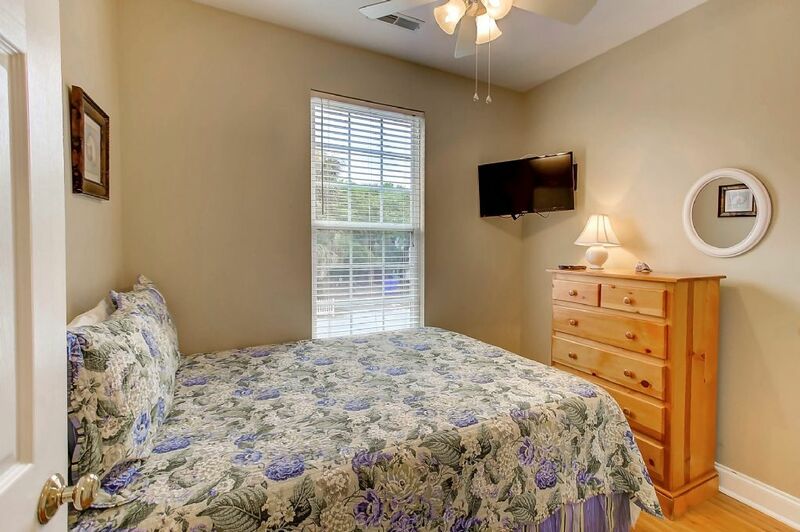 The first guest bedroom has one queen bed and TV, as well as access to the full guest bathroom. 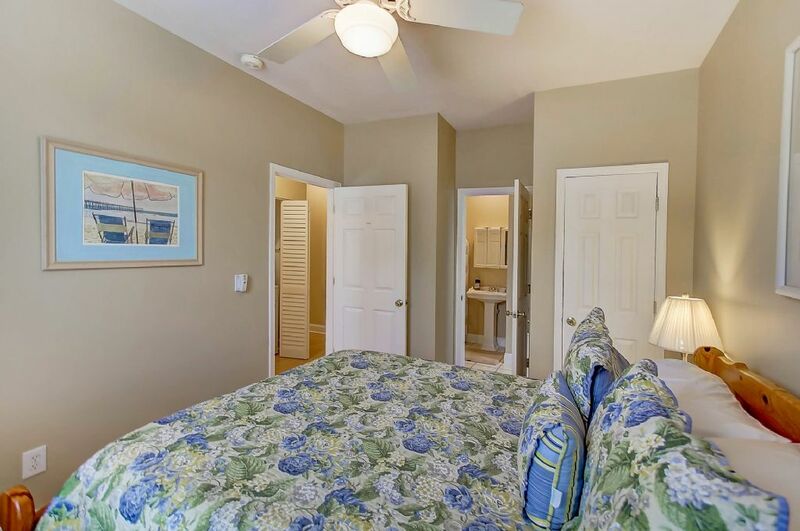 The second bedroom also features one queen size bed and would share access to the full guest bathroom. 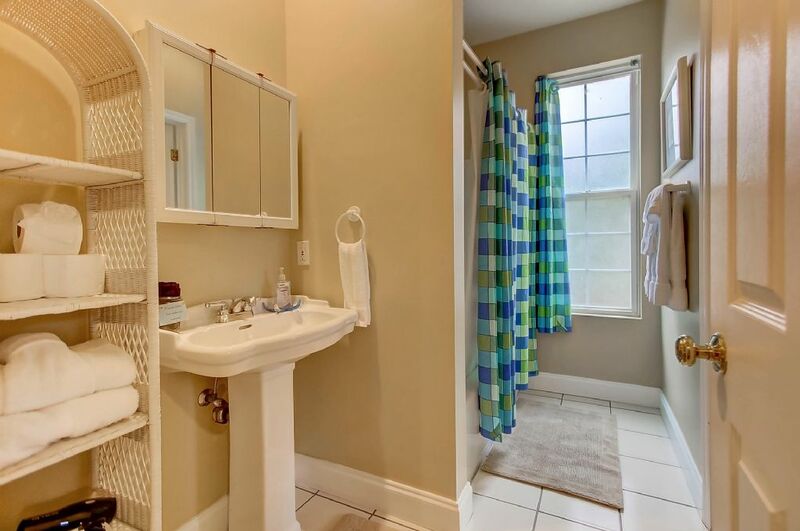 The guest bathroom features plenty of room, a pedestal sink and bath/shower combination. 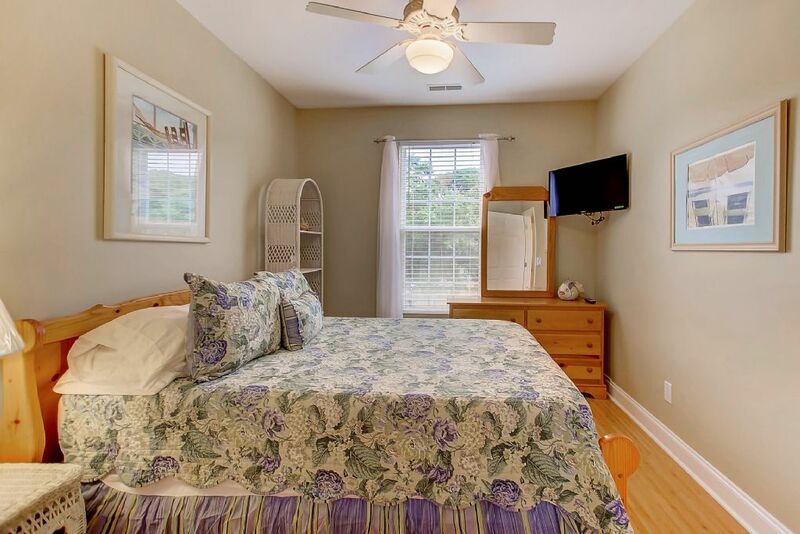 The comfortable and private master bedroom features one king bed and another TV. 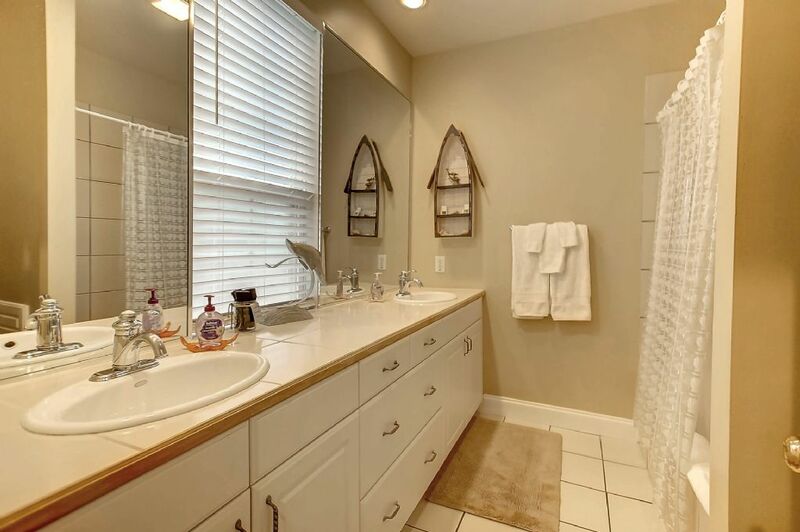 The spacious, attached master bathroom has a jetted tub, shower, and double vanity. 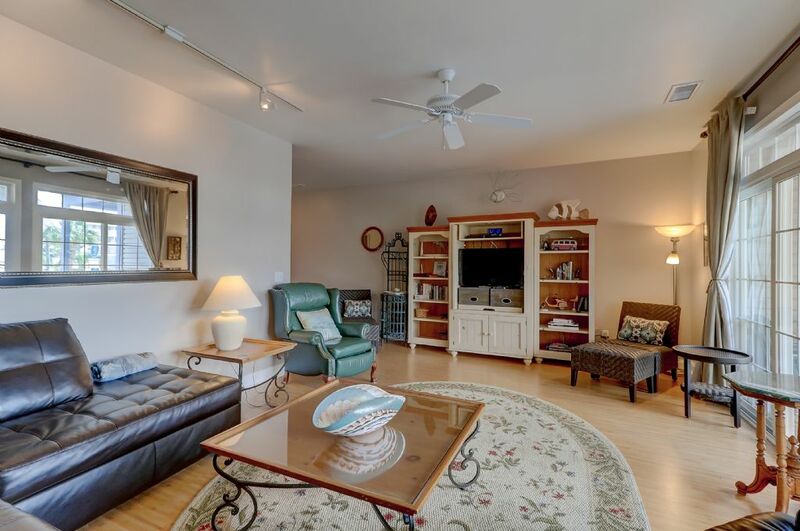 The living room has a large TV with DVD player and plenty of comfortable seating for everyone to gather together. 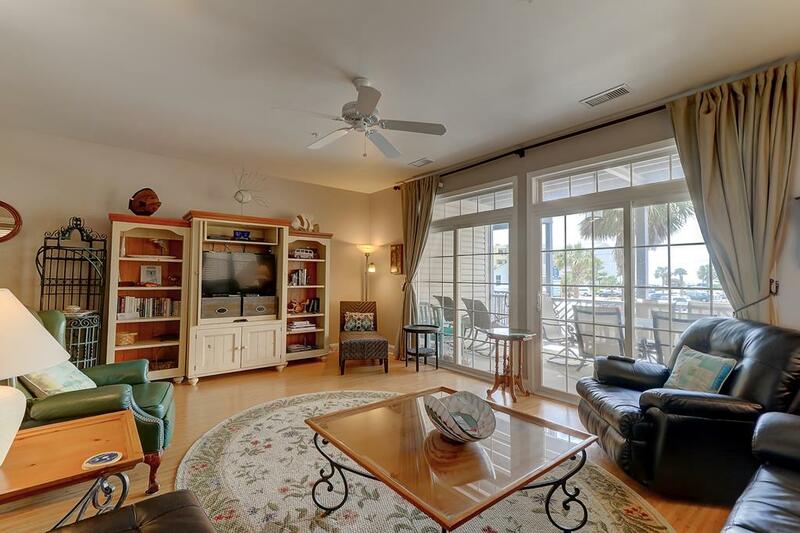 The large, covered porch is accessed from the living room to enjoy the ocean views. 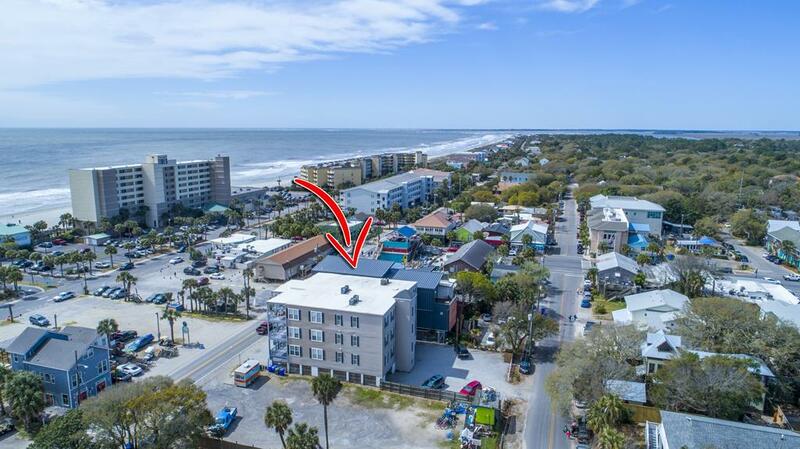 You can also see the beach access from your porch just next to the Folly Beach Pier, a hop, skip, & jump away. 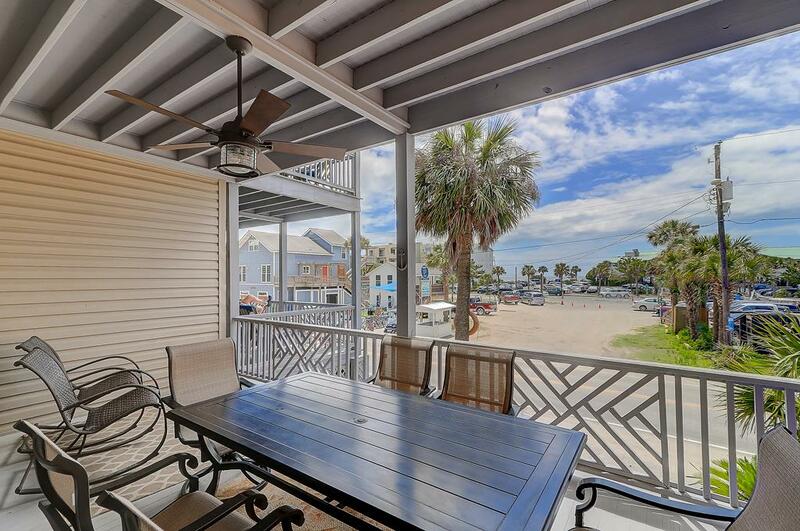 There is a dining table for 6 people to play card games or alternate outside dinning. 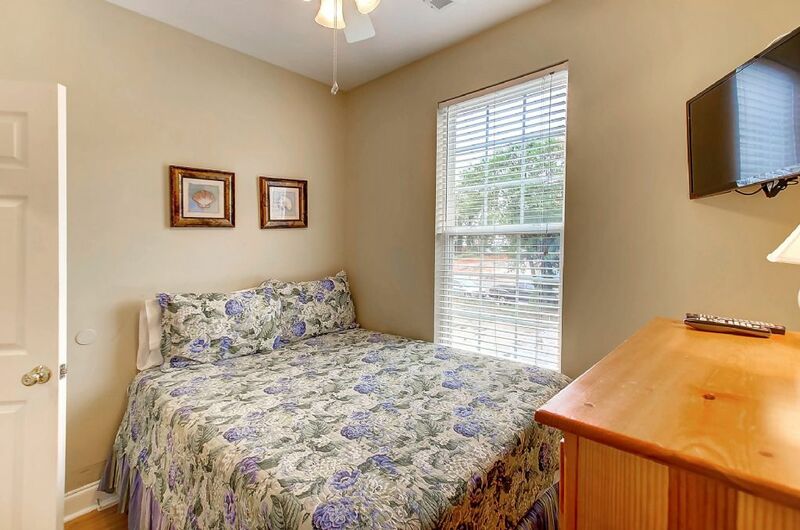 Additional chairs are also provided for ample relaxation. 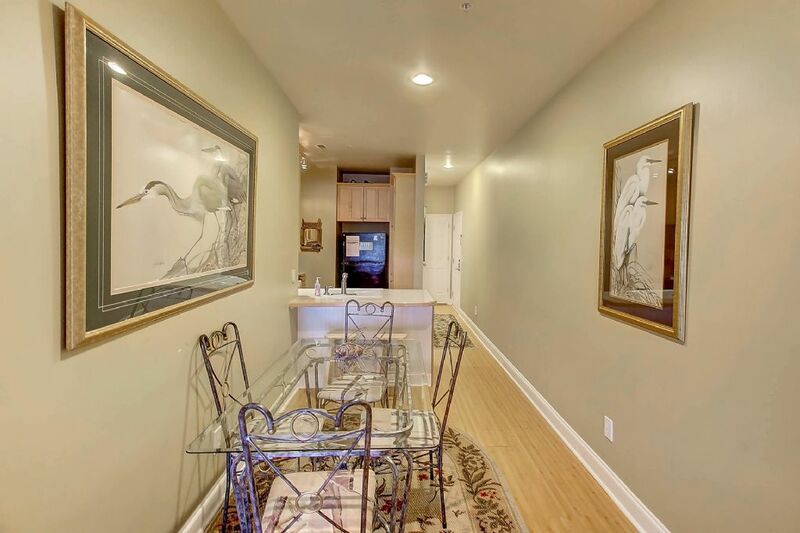 The kitchen features a large refrigerator and freezer, coffee maker, coffee grinder, dishwasher, blender, and all the tools you will need to prepare wonderful meals. 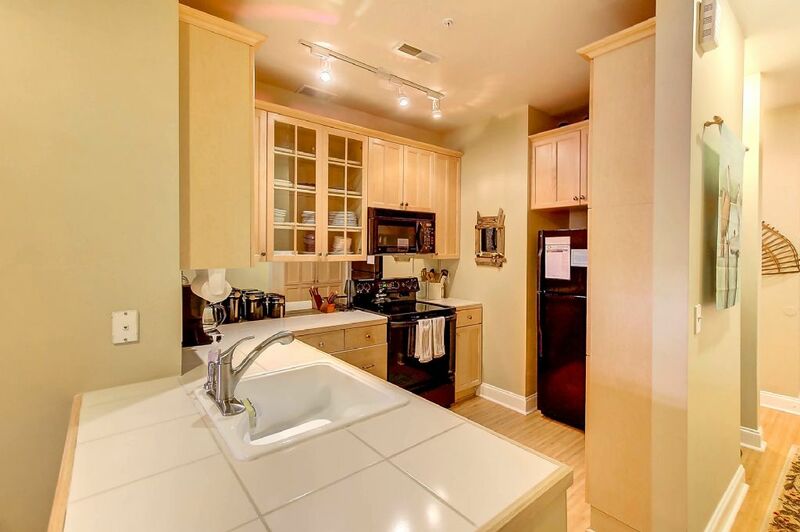 The kitchen cabinets are fully stocked with eating and cooking utensils, flatware, glassware, and serveware. 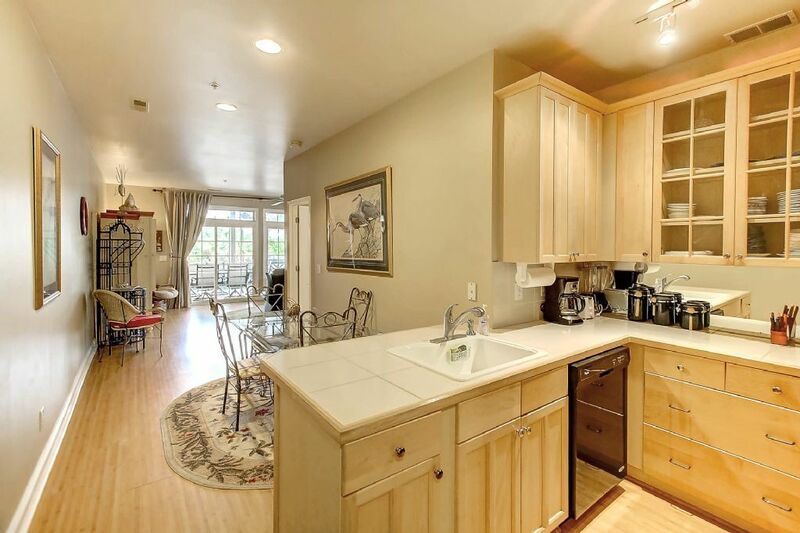 The inside dining table easily seats everyone and there are 2 bar stools for additional seating and quick meals. 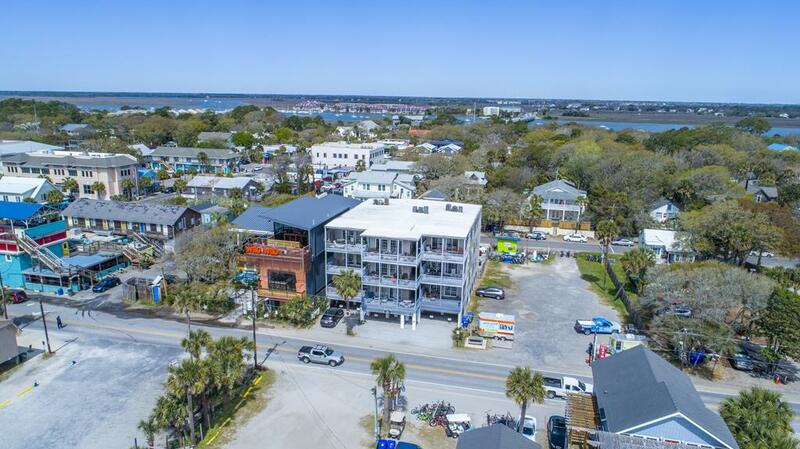 Property is within walking distance to everything Folly has to offer including, local shops and restaurants on Center Street and the local favorite, Bert's Market. 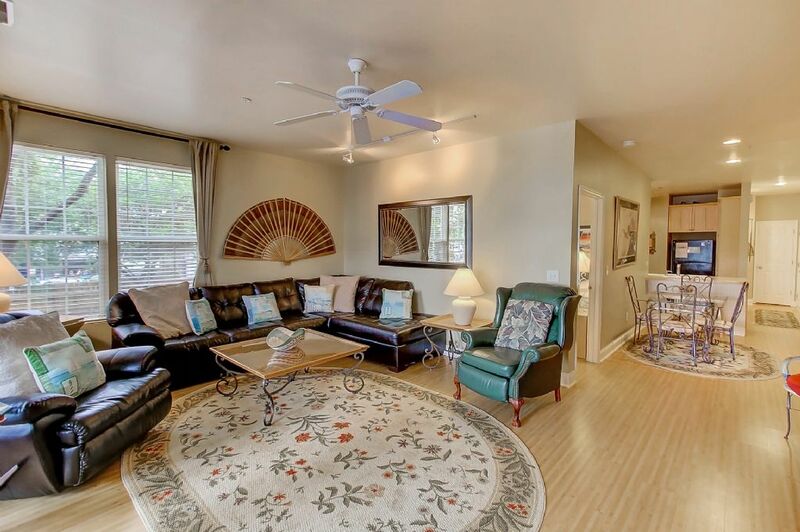 If you feel like exploring more of the Low Country, you can also take an easy trip into downtown Charleston to enjoy all of the world-class dining, boutique shopping, history and ghost tours, art galleries, theater, and so much more! 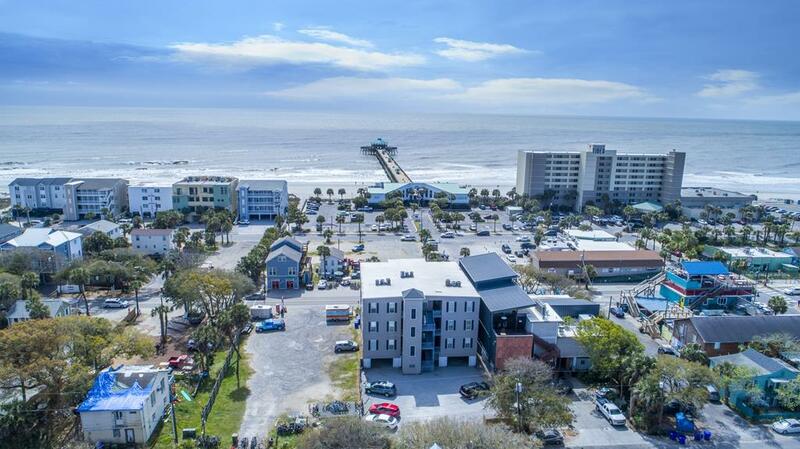 Charleston is only about a 20-25 minute drive. The condo is strictly non-smoking. No events allowed that exceed the maximum occupancy of the home. 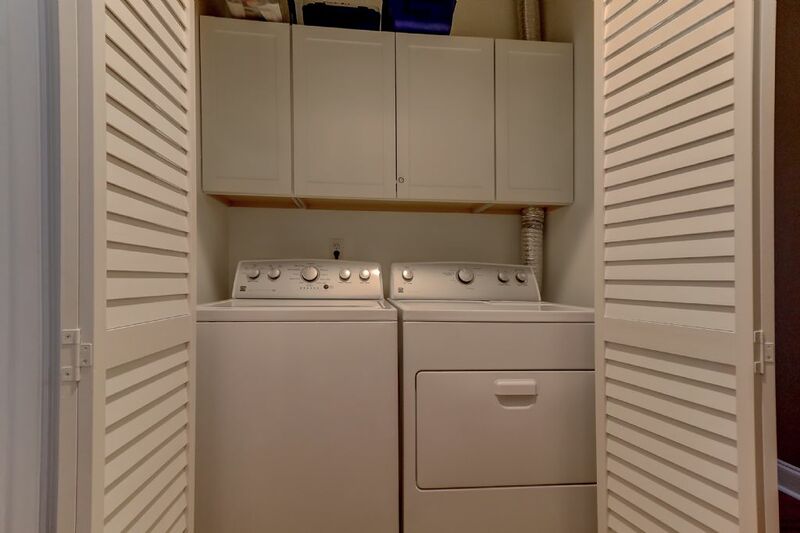 All of the modern amenities you would expect are provided, elevator, including a fully stocked kitchen, high-speed WiFi and washer/dryer. 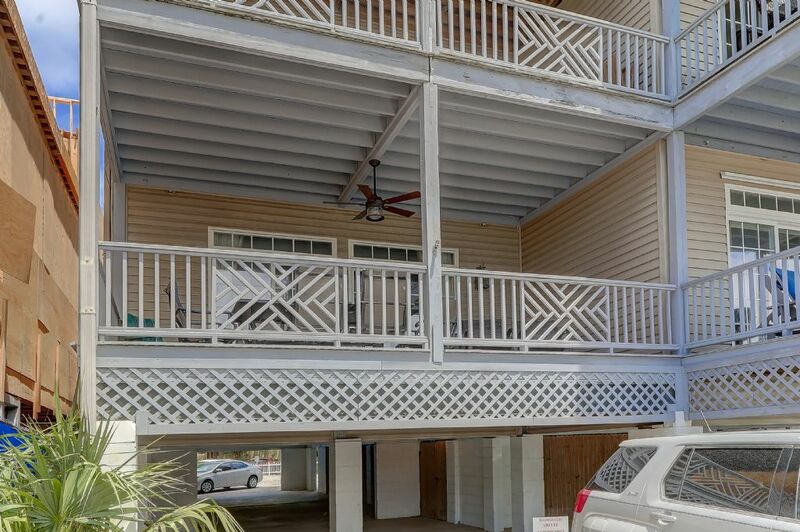 Parking spots are labeled for the condo and available for 2 vehicles. 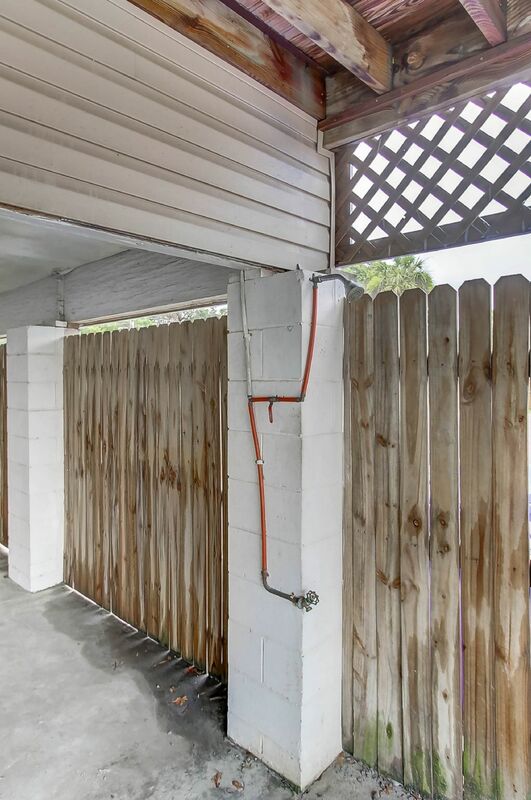 All photos are current and accurately depict the property. Pet fee is $125 per pet with a 2 pet maximum. Pets must be less than 30 lbs! 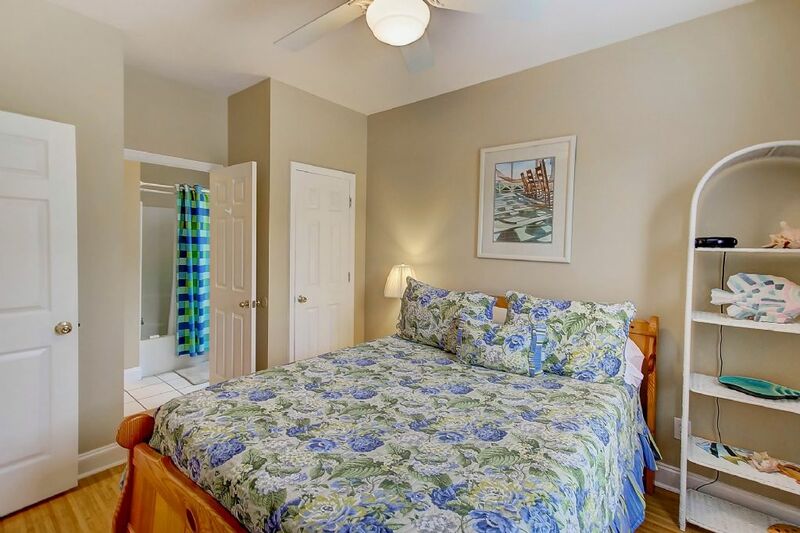 Feel free to contact us at Carolina One Vacation Rentals, 843-588-1212, if you have any questions and to book your stay!